A medical expert claims he has conclusive new evidence that Dr David Kelly’s death could not have been caused – or even hastened – by an overdose of painkillers. The post mortem on the weapons expert said he had taken up to 29 tablets of co-proxamol, and the supposed overdose was listed as a contributory cause of death. But Dr Andrew Watt, a clinical pharmacologist, said the evidence suggested Dr Kelly could not have taken more than two tablets. Dr Watt said he had studied all available material, including the toxicology report published by the Government last week, and used a simple mathematical formula to work out how much co-proxamol had entered his body before death. Based on his body weight, the amount of water his body is likely to have contained, and the strength of the tablets, Dr Watt said it was not ‘accurate or reliable’ to suggest Dr Kelly had absorbed more than a ‘therapeutic dose’ of the medicine – in this case about two pills. 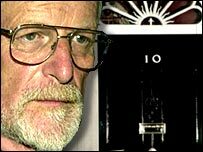 Dr Kelly’s body was found in woods close to his Oxfordshire home in July 2003 shortly after he was unmasked as the source of a BBC report claiming the government ‘sexed up’ a dossier on Iraq’s weapons. Three blister packs of co-proxamol, each capable of holding ten tablets, were found in his coat pocket. Only one tablet remained. The official toxicologist, Alexander Allan, was unable to specify how many pills Dr Kelly had taken but tests showed he had less than a fifth of one tablet in his stomach. Lord Hutton, who chaired the public inquiry into his death, found that he killed himself after cutting his wrist and taking ‘an excess amount of co-proxamol tablets’. Co-proxamol ingestion is also listed as a cause of death on Dr Kelly’s death certificate. Unusually, there has never been a full coroner’s inquest. Dr Watt has written to the Oxfordshire coroner, Nicholas Gardiner, outlining his findings and urging him to ask an independent specialist to investigate his claims. Dr Watt, who was a senior lecturer at the University of Aberdeen, is the latest physician to question the official version of how Dr Kelly died. A group of doctors have formally applied to Attorney General Dominic Grieve for a full inquest. Yesterday, I sent by Recorded Delivery a letter to Dominic Grieve QC, requesting that he apply to the High Court for an order that an inquest be held into the death of Dr. David Kelly. The text of that letter follows below, for reference. I write to you to request that you apply to the High Court for an order that a Coroner-led inquest be conducted with respect to the death of Dr. David Kelly in 2003, as provided for on the grounds enumerated in Subsection 13(1)(b) of the Coroner’s Act 1988. Of the grounds mentioned in Subsection 13(1)(b) I consider the following grounds potentially to be of relevance in an application to the High Court with respect to the death of Dr. David Kelly. As I read Subsection 13(1)(b) any one of these deficiencies is sufficient grounds on which to apply for an order from the High Court. Given persistent public concerns about how Dr. Kelly met his death I find it difficult to conceive how the High Court could conclude otherwise than such an inquest is in the interests of justice. I will list some causes for concern under each of the four headings previously mentioned. In some situations it is not immediately clear whether a particular point of concern should most appropriately be considered under a single heading or multiple headings. To avoid unnecessary repetition I will attempt to list a cause for concern under the single heading that appears to me to be most relevant. The following lists do not purport to be exhaustive. They simply represent causes for concern that I observed after only a few hours reading the Hutton Inquiry transcripts, the Report and other potentially relevant material, as they refer to matters relating to the cause of death of Dr. David Kelly. Lord Hutton made it clear in his introductory statement that decisions about who to call to give evidence rested with him. It seems to me that a number of individuals who could potentially have given useful evidence regarding Dr. Kelly’s death were excluded from giving evidence. I can only assume that Lord Hutton rejected them as witnesses, hence my including them under the “Rejection of Evidence” heading. Lord Hutton’s approach to the evidence of these individuals might equally be classified under the “Insufficiency of Inquiry” heading. 1. A Detective Constable Shields was stated (by DC Graham Coe) to have been present when DC Coe first saw Dr. Kelly’s body. DC Shields was not asked to give evidence. 2. Dr. Eileen Hickey accompanied her colleague, the forensic biologist Mr Roy Green, and spent some 5 hours at the scene where Dr. Kelly’s body was found. Dr. Hickey was not asked to give evidence, nor so far as I can ascertain was her area(s) of expertise explored by Hutton. 3. Mr. Green testified that at least three Scenes of Crimes Officers were present at the scene. None was asked to give evidence about what they might have found or seen. 1. When evidence was taken from Mr Roy Green, forensic biologist, he stated in his testimony that his tests were ongoing. He was not asked to give further oral evidence and the results of his tests, so far as I am aware, are not known (at least I can find no public record of the results having been made available to the Hutton Inquiry or, alternatively, made publicly available by the Inquiry). 2. Supposedly, Assistant Chief Constable Page was to give evidence at his second appearance before Lord Hutton about the results of Mr. Green’s tests. He did not do so in any meaningful way and the absence of information about completed tests conducted by Mr. Green was ignored by both Assistant Chief Constable Page and by the Hutton Inquiry. In any case, it was in my view highly irregular that someone who is not a technical expert should be asked to give evidence on a technical subject about which he has negligible or no expertise. In addition, the technical detail of Mr. Green’s tests was not investigated in oral questioning which seems to me to be grossly irregular and insufficient. There are numerous individual points where, so it seems to me, Lord Hutton was negligent in terms of conducting a credible and diligent inquiry, equivalent to an inquest. Each of the listed points which follow indicates, in my view, “insufficiency of inquiry” by Lord Hutton. Taken together they are more consistent with Lord Hutton jumping to a politically convenient conclusion of “suicide” rather than conducting a comprehensive and diligent inquiry as to how Dr. David Kelly died. 1. No evidence was taken on oath. This raises questions about the validity of some evidence and leaves open questions about discrepancies between the evidence given by different individuals. Evidence to the Hutton Inquiry is, in its entirety, of less evidential credibility than had it been taken on oath. 3. Only one of the “three” plain-clothes individuals seen by the volunteer searchers was questioned by Hutton, DC Coe. So far as I can ascertain he wasn’t asked if the other officer(s) present had touched or moved the body. He stated that he hadn’t personally approached the body. 4. Each of the two searchers state that they met “three” individuals, presumably not in uniform, shortly after they found Dr. Kelly’s body. DC Coe said that only he and the mysterious DC Shields were present. Counting to two or three is not complex. Someone is either mistaken or someone is not telling the truth. Lord Hutton failed either to identify the discrepancy in evidence or to take steps to resolve the discrepancy by further questioning of witnesses. 5. The possibility exists that the mysterious “third man”, if he existed, moved the body. Lord Hutton, so far as I can ascertain, made no attempt to identify or question the “third man”. Given that Assistant Chief Constable Page indicated that Special Branch had been informed at an early stage about Dr. Kelly’s disappearance, the possibility exists that the “third man” was a Special Branch individual. 6. The Police created a “common approach path” several feet wide. So far as I can ascertain no witness was asked if the creation of the “common approach path” could have obliterated evidence of Dr. Kelly having been carried to the scene where his body was found. Since Assistant Chief Constable Page asserts that an inquiry of the highest quality was carried out, this seems a fundamental omission in the Police inquiry, paralleled by a subsequent insufficiency by Hutton. 7. It seems to be widely assumed that Dr. Kelly used his own knife to kill himself. 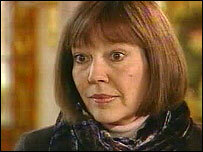 In testimony it became clear that Mrs Kelly was never shown the knife found beside Dr. Kelly’s body. How then can any reliable identification of the knife have supposedly been made? 8. It seems to be widely assumed that Dr. Kelly used his wife’s co-proxamol tablets to kill himself. At no point was it established that any of his wife’s tablets were missing. The Hutton Inquiry did not ask her and she did not volunteer any information on the subject. 9. As a result of the irregularities previously mentioned with respect to Mr. Green’s evidence there is no assurance that “blood” mentioned in the evidence of others is indeed blood. Nor that it is human blood. Nor that it is Dr. Kelly’s blood. At best this is a “loose end”, not identified or clarified with sufficient diligence by the Hutton Inquiry. 10. Dr. Hunt speculated that the observation that Dr. Kelly’s watch was not on his wrist indicated that Dr. Kelly had removed the watch in order more effectively to cut his wrist. However, the evidence of DC Coe is that the watch was “on top of” the knife when he first saw the body. If the watch was “on top of” the knife, it wasn’t removed to allow better access to cut the wrist, at least not with the knife that was underneath the watch. So far as I can see, Lord Hutton failed to observe the discrepancy or to take steps to inquire into how it might definitively be resolved. 11. On page 4 of the Pathologist’s report (final paragraph) mention is made of “broken branches” close to Dr. Kelly’s body. Were those branches freshly broken (consistent with disturbance of the area by a third party)? So far as I can ascertain from the Hutton Inquiry documents this question was not explored. In my view, in order to adequately consider the possibility of a third party being involved, this question should have been thoroughly explored. 12. On page 5 of the Pathologist’s report (first new paragraph) Dr. Hunt states that there was a “pool of blood” extending for “2’ – 3’” i.e. for 2 to 3 feet! from the left arm of Dr. Kelly. The testimony of others is that the paramedics stood (and presumably knelt to apply the ECG electrodes) in this area (and laid what I assume to be a portable defibrillator on the ground) yet, if Dr. Hunt’s observations are correct, failed to observe a “pool of blood” some 2 to 3 feet long! I find it inexplicable that this discrepancy in the evidence was not explored in detail at the Hutton Inquiry. Having on many occasions applied ECG electrodes to the chest I cannot easily conceive of how the paramedics would have carried out the necessary actions of unbuttoning Dr. Kelly’s shirt etc and applying the electrodes without either seeing, kneeling in or standing in a “pool of blood” some 2 to 3 feet long. 13. In numbered paragraph 7 on page 13 of the Pathologist’s report Dr. Hunt uses the fact that Dr. Kelly’s spectacles were in his Barbour pocket to speculate that this was a supporting indicator that Dr. Kelly committed suicide. So far as I can ascertain Dr. Hunt did not inquire (or record) what sight defect(s) caused Dr. Kelly to possess spectacles. Nor did Lord Hutton, so far as I can ascertain. If Dr. Kelly’s spectacles were reading glasses and he wasn’t reading, is there any reason to assume that he would be wearing them? If Dr. Kelly had reading glasses and wasn’t reading (no reading material was recorded at the scene, so far as I can ascertain) it seems bizarre to use the finding as supposed evidence of suicide. 14. In numbered paragraph 8 on page 14 of the Pathologist’s report, Dr. Hunt asserts a “lack of obvious signs of trampling of the undergrowth” and speculates on that basis that this suggests self-harm. We know from testimony to Hutton that several people (the volunteer searchers, the paramedics, DC Coe and possibly others) had walked, stood or kneeled in or close to the area. But Dr. Hunt missed the signs of the recent presence of those individuals. I suggest that it can be assumed that Dr. Hunt would also have missed evidence of the hypothetical presence of a malevolently-minded third party (or parties) several hours earlier. Dr. Hunt’s assertion is, at best, of limited value and this should have been identified by Hutton, in my view and further targeted questioning have taken place. 15. The attribution in paragraph 11 on page 14 of clinical significance to anatomical coronary artery lesions is largely speculative. Lord Hutton should have explored with Dr. Hunt to what degree his assertion is speculative. 16. In numbered paragraph 13 on page 14 of the Pathologist’s report Dr. Hunt attributes cardiac toxicity to dextropropoxyphene (of which the concentration was measured) but did not consider the likely greater importance of the metabolite propoxyphene (whose concentration was not measured, I understand). The absence of information about the concentration of propoxyphene renders Dr. Hunt’s speculation significantly more uncertain than it purports to be. 17. The abrasions to the head mentioned in numbered paragraph 17 on page 15 of the Pathologist’s report might be consistent with the body having been moved by a third party. Dr. Hunt appears not to have considered that possible interpretation nor does Lord Hutton seem to have inquired about that possibility. 18. Dr. Hunt attributes death to blood loss. He, so far as I can ascertain, did not attempt to measure or estimate how much blood was lost. This renders his primary conclusion speculative, to a potentially significant degree. Lord Hutton failed to identify or explore the limitations of Dr. Hunt’s primary conclusion. 19. Professor Hawton repeated in his oral evidence, as if fact, the points about which I raise concern with respect to Dr. Kelly’s glasses, his watch and the evidence (or otherwise) of trampling at the scene. Essentially, in these matters Professor Hawton’s “evidence” amounts to little more than hearsay echoing Dr. Hunt’s evidence and amplifying the potentially erroneous observations and interpretation of Dr. Hunt. Lord Hutton failed to identify and inquire into such points of concern regarding Professor Hawton’s evidence. 20. There is a puzzling piece of toxicology evidence regarding the concentrations measured by Dr. Allen of paracetamol and dextropropoxyphene. Assuming the likely formulation of co-proxamol the ratio of the two substances ingested is 10:1. In the serum concentrations measured the ratio was 97:1. Given the metabolism of the two substances I cannot immediately identify how such a ratio could have come about, given the underlying assumption that only co-proxamol was ingested. This may be no more than a pharmacokinetic curiosity but I do consider that the Hutton Inquiry should have explored whether the somewhat surprising ratio found in serum concentrations might have any significance. 1. One of the paramedics who attended the scene indicated to a national newspaper that that the body was moved. He was not informed about the position of the body as seen by the searchers so at the time of the Hutton Inquiry was in no position to indicate that it was different when he saw it. 2. On page 4 of the Pathologist’s report recently released by the Ministry of Justice, Dr. Hunt states that the “left hand” was over the right side of Dr. Kelly’s shirt. Elsewhere in his report he states the “left hand” was to the left of the body. The discrepancy may be no more than a simple error but should be resolved. 3. On page 4 of the Pathologist’s report (third and second last paragraphs) Dr. Hunt indicates that the knife was “adjacent” to the watch. He seems entirely unaware of the evidence of DC Coe (who saw Dr. Kelly’s body some 3 hours earlier) that the watch was “on top of” the knife when he first saw the body (before the scene was potentially disturbed by the paramedics and others). This point is potentially of crucial importance. If the watch was initially “on top of” the knife Dr. Hunt’s speculation that the removal of the watch was for the purpose of inflicting a deeper wound with the knife is seriously undermined. 4. The matters discussed in the preceding numbered paragraph raise doubts about Dr. Hunt’s findings at numbered paragraph 7 on page 13 of the Pathologist’s report. Specifically, he was (so far as I can ascertain) unaware that the watch was initially “on top of” the knife. His conjecture that the watch was removed to allow better access to the wrist is seriously undermined, in my view, if DC Coe’s evidence is correct. In light of my having commented on several technical aspects of the Pathologist’s finding and speculations I have noted my qualifications beside my name below. 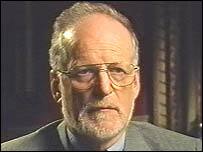 In my opinion the conclusion that Dr. David Kelly killed himself is unsafe on the basis of the currently incomplete and/or contradictory evidence presented to the Hutton Inquiry, as discussed earlier in this letter. It is my view that in the interests of justice it is necessary that an inquest be held taking evidence on oath from all those who may have relevant information. Inquest decision "not something you can rush"
A DECISION on whether to reopen the inquest into the death of UN weapons inspector Dr David Kelly is likely to be months away, the Attorney General says. 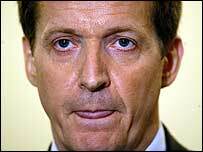 Beaconsfield MP Dominic Grieve, the top legal adviser to the Government, is reviewing documents to see if there is any evidence which “might cast proper doubt” on the previous enquiry - which concluded he committed suicide. 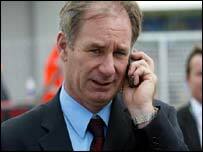 Conspiracy theories have abound since Dr Kelly’s death in 2003. 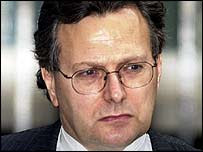 He died after being revealed as the source behind a controversial BBC story which accused the Government of ‘sexing up’ a dossier used as support for the Iraq War. Justice Secretary Ken Clarke released Post Mortem details last week, which were originally supposed to have been kept secret for 70 years. 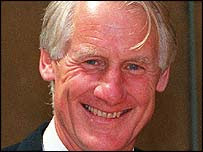 Mr Clarke said it was to maintain confidence in the Hutton inquiry, which previously ruled Dr Kelly took his own life. A group of doctors have called for the inquest to be reopened. Mr Grieve told the Free Press: “The papers have been referred to me, there’s a submission from some doctors which have been in the media saying they have some concerns about the outcome of the inquiry. "It’s now my task to review that. “I can make an application to the High Court under certain circumstances to refer to ask for a fresh inquest or an inquest to be reopened or to take place where there’s been an enquiry. The details released by Mr Clarke have already been seen by Mr Grieve along with other sensitive documents. Mr Grieve, also MP for Marlow following the General Election, said: “I want to make quite clear at this stage we are nowhere near making the decision on that (the application to the High Court for an inquest). “I would obviously want to do that as quick as I can but it’s not something you can rush in a few days. “I don’t think I can put a strict timescale on it, obviously I don’t want it to drag but not something you should expect next week. And so it goes on. Despite the release on Friday of the postmortem and toxicology reports into the death of the weapons inspector Dr David Kelly, the claims will continue. The Hutton inquiry into the factors leading to Kelly's death heard expert evidence and then concluded the weapons inspector had committed suicide. Not one single party to the inquiry, which was more thorough than any inquest would have been, offered any evidence to the contrary. 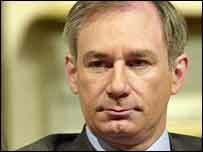 The inquiry into the death in 2003 was vitriolic at times, and ended up with the BBC and Kelly family joining together in a savage battle against the government. 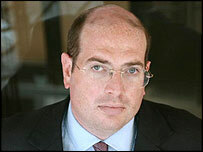 I sat through Hutton's inquiry, and have sat through many inquests. Despite Hutton's baffling conclusion that the government bore no blame for pressurising Kelly, his was a more rigorous inquiry into the death than an inquest. But none of this has satisfied those determined to suggest something more malign was behind Kelly's demise. Over the years, as new claims have emerged, I have gone back to a group of experts who would be best placed to spot anything untoward, namely forensic pathologists. They are the experts in determining causes of death. What is striking is their consistency in saying the scientific evidence points to Hutton's inquiry having reached the right conclusion. The Hutton inquiry found that Kelly, 59, died after cutting an artery in his left wrist, had taken an overdose of Coproxamol painkillers and had heart disease which left his coronary arteries "significantly narrowed". The doubters, who some call conspiracy theorists, have failed in all the years to produce one single fact to support their claims. Experts in forensic pathology say that the doubts raised, including those by doctors, were based on partial knowledge or misconceptions. The critics have claimed that bleeding to death after cutting the ulnar artery was unlikely, and that evidence of large-scale blood loss at the scene was absent. Dr Andrew Falzon, a consultant forensic pathologist with the Forensic Science Service, said Kelly's heart disease and overdose of Coproxamol meant a smaller loss of blood could kill him than that required to kill a healthy person: "You are going to succumb to a smaller volume of blood loss than if you were a 20-year-old with a healthy heart. "The heart vessel is already deprived of oxygen because of the blockage of the vessels. With the loss of blood [caused by cutting the ulnar artery], there is less oxygen to the heart. Throw in the toxic level of drug, that makes the heart more sensitive to cardiac arrhythmia [an electrical disturbance] which causes sudden death. "I'm sure bleeding from the ulnar artery can kill you." Falzon also said the views of those not trained in forensic pathology, even if they are medically trained, needed to be treated with caution: "People who are not trained to look at causes of death will perceive things differently. It's hard for them to believe certain things can happen." Professor Peter Vanezis, senior consultant in forensic medicine to the armed forces, said: "These people are more clinicians and are obviously surprised that a person can kill themselves like that." Vanezis said the lack of large amounts of blood in the wood where Kelly was discovered could also be easily explained: "It was outside – it could have gone into the soil." Dr Andrew Davison, a forensic pathologist at Cardiff University, agreed: "You only have so much blood going around. If you have a heart condition you can't afford to lose as much blood as a healthy person." Professor Derrick Pounder, head of forensic medicine and forensic pathologist at the University of Dundee, said: "It may be that there are several factors in a death. In this case, we know he had taken more than a therapeutic dose of drugs, and that he had some pre-existing heart disease. We have three factors in the death that are known to the public. The cause of death is likely an interplay between the three." Professor Chris Milroy, now working in Canada, was a pathology professor at Sheffield University. He said: "I've seen nothing yet that proves anything other than Dr Kelly took his own life in the way the Hutton inquiry concluded, by cutting his wrists and taking an overdose." Kelly's heart condition made him unable to withstand loss of blood to the extent that a fit person could. The death was "multifactoral": due to the cut to his wrist, a toxic dose of drugs and heart disease. The Dextropropoxyphene he took was itself toxic to the heart. Milroy added: "It is difficult to estimate blood loss from looking at the scene." Paramedics have claimed there was a lack of blood at the scene where Kelly's body was discovered. Professor Guy Rutty, of Leicester University, said: "The blood could have gone straight into the ground." Both said paramedics were trained in saving lives, not in the forensic examination of scenes of death, which required a wholly different set of skills and expertise. The forensic pathologist who examined Kelly's body, Dr Nicholas Hunt, gave the formal cause of death as: "Haemorrhage due to incised wounds of the left wrist", in conjunction with "Coproxamol ingestion and coronary artery atherosclerosis". No expert in the field of forensic pathology has to date come forward to doubt that claim. Not one. Doctors pushing for a full inquest into the death of David Kelly have not been satisfied by secret medical documents which insist he committed suicide. Post-mortem records for the Iraq weapons inspector, which were originally ordered by the Hutton Inquiry to be kept under wraps for 70 years, were released yesterday. They concluded he bled to death in a case 'typical of self-inflicted injury' but experts still have questions about how much blood was at the scene. Ministers had hoped that releasing the reports might put an end to the controversy surrounding Dr Kelly’s death, which has led some to claim he was murdered. But Dr Michael Powers QC, one of several experts calling for an inquest, described the decision to release the medical records as like ‘some sort of sticking plaster’. 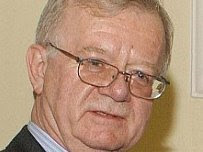 Justice Secretary Kenneth Clarke decided to release the documents in an attempt to stifle conspiracy theories surrounding the scientist’s death in 2003. The two detailed reports appeared to confirm Lord Hutton’s conclusion that Dr Kelly took his own life. His body was found in woods near his Oxfordshire home shortly after he was identified as the source of a BBC story that Tony Blair’s government had ‘sexed up’ its ­dossier on Iraq’s non-existent weapons of mass destruction. No coroner’s inquest has been held because the then Lord Chancellor, Lord Falconer, used an obscure law to appoint Lord ­Hutton to chair a public inquiry into the death. Law lord Lord Hutton accepted the findings of Home Office pathologist Dr Nicholas Hunt that Dr Kelly died after severing an artery in his wrist and swallowing an ­overdose of drugs. Lord Hutton initially ruled that the post-mortem examination and toxicology reports be kept secret for 70 years, but Mr Clarke intervened and ordered their release yesterday. Dr Hunt’s report said the weapons inspector died from a combination of bleeding from his wrist, an overdose of co-proxamol tablets and ‘clinically silent coronary artery disease’. But Dr Powers, who is campaigning to overturn Lord Hutton’s ­findings, said there was nothing new in the documents and there was still conflict over how much blood was at the scene. He said Dr Kelly could also have taken ‘far less than 29 tablets’ and, if he had taken only six or eight ‘one might draw completely different conclusions’. ‘It is extraordinary that it has taken somewhere in the region of nine months for the Ministry of Justice to decide which information should be made public,’ he said. ‘This is some sort of sticking plaster to address the inadequacy of the Hutton Inquiry. These matters need to be dealt with at a coroner’s court. Mr Clarke said he was releasing the documents ‘in the interests of maintaining public confidence’ in Lord Hutton’s inquiry but added that he was ‘mindful that the contents may be distressing’. Dr Kelly’s family does not want an inquest and yesterday their ­solicitor, Peter Jacobsen, said they would be making no comment on the release of the documents. Lord Hutton denied claims that the reports had been concealed. 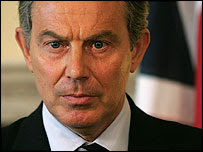 The release of the documents came as former Cabinet minister Clare Short accused Tony Blair of having ‘blood on his hands’ over Dr Kelly. She told Radio 5 the former prime minister and his spin doctor Alastair Campbell ‘bear a guilt’ for driving the scientist to his death. Miss Short said the weapons inspector came under ‘enormous strain’ when the Labour government outed him as the source of the sexed-up dossier story. Was this where Dr Kelly actually died? His death certificate says, ‘Found dead at Harrowdown Hill, Longworth, Oxon,’ but normally the document would not say ‘found at’. Could this imply – as some have claimed – that his body had been moved? Shortly after 2pm on July 18, 2003, pathologist Dr Nicholas Hunt entered a hastily erected police tent to find Dr Kelly, dressed in a green Barbour waxed jacket, lying dead on his back, his left arm flexed at the elbow and right fist clenched over his chest. His mobile phone, bifocal spectacles and three packs of ten co-proxamol painkiller tablets were found in a jacket pocket – with only one tablet remaining in its blister pack. Neatly propped against branches was an open bottle of Evian water with smeared blood on both bottle and nearby bottle top. To his left was a Barbour cap, with blood over the lining and its peak, and his wristwatch, lying face down and showing some blood staining. Next to this was a Sandvik gardener’s pruning knife, its blade extended, with bloodstaining over the handle and the blade and a pool of blood beneath ‘approximately 8-10 by 4-5cm’. The pathologist said there were no ­obvious signs of trampling of the undergrowth or damage to clothing and said the location was of interest as ‘it is clearly a very pleasant yet relatively private spot of the type that is sometimes chosen by people intent upon self-harm’. He added: ‘The fact that the watch appears to have been removed whilst blood was already flowing suggests that it has been removed deliberately in order to facilitate access to the wrist. There was no pathological evidence to suggest Dr Kelly had been restrained or subjected to ‘sustained, violent assault prior to his death’ or ‘manual strangulation, ligature strangulation or the use of an arm hold’. Nor was there any evidence that he ‘had been dragged or otherwise transported to the location at which his body was found’. Much of the controversy surrounding the death has centred on eyewitness accounts highlighting a lack of blood around the body. Detective Constable Graham Coe, one of those who attended the scene, said: ‘I certainly didn’t see a lot of blood anywhere. There was some on his left wrist but it wasn’t on his clothes.’ This reinforced suspicions he might have been killed elsewhere. After the preliminary observations, Dr Kelly’s body was undressed and minutely examined for ‘bloodstaining and contamination’. On clothing, Dr Hunt said he found bloodstaining: over the front of the right side of his shirt, under the blood-stained palm of Dr Kelly’s left hand; over the right groin and tops of both his thighs; a ­heavier patch over the right knee; over the right elbow and right shoulder; a light patch inside the right knee; heavy bloodstaining over the left arm, including the part inside the jacket sleeve; and over the back of the left elbow. On the body he found: heavy bloodstaining over the left arm; lighter bloodstaining over the back of the fingers and palm of the right hand; several small blood spots on the neck, cheek and ear. Dr Hunt said there was also bloodstaining and a pool of blood running from the scientist’s left arm for a distance of two or three inches. There was also evidence at the scene that Dr Kelly had vomited. The group of doctors pressing for a full inquest say blood from the small artery severed by Dr Kelly would have clotted before he could bleed to death. In addition, a close friend, Dr Mai Pedersen, says an injury to his right hand had left the weapons inspector unable even to cut meat with it, calling into question whether he could have cut his wrist in the way described by the Hutton Report. Dr Kelly’s corpse was subsequently taken to the John Radcliffe Hospital in Oxford for a full post-mortem examination. Under the heading ‘signs of sharp force injury’, Dr Hunt recorded a series of incised wounds across the front of the left wrist extending 8cm from side to side and 5cm from top to bottom. The largest wound was 6cm long and between 1cm and 1.5cm deep and had completely severed the ulnar artery and partially severed the ulnar nerve. Two deep wounds around 2cm long were at the crease of the wrist. He added that the arrangement of the wounds over the left wrist were typical of self-inflicted injury. Also typical of this were small so-called ‘tentative’ or ‘hesitation’ marks. He said there was a total lack of classical ‘defence’ wounds against a sharp weapon attack. While much has been made of the alleged lack of blood at the scene, and questions raised about how many tablets Dr Kelly had taken, little weight has been placed on his ‘clinically silent’ heart disease. Examination of his heart revealed he had ‘a significant degree of coronary artery disease and this may have played some small part in the rapidity of death, but not the major part in the cause of death’. The post-mortem report found some arteries were between 60 and 70 per cent narrower than normal and forensic examination of the organ ‘raised the possibility of ­previous ischaemia/­infarction’ – so-called ‘silent heart attacks’. Only a small amount of the drug co-proxamol was found in Dr ­Kelly’s body, leading doctors to argue that the dose doesn’t correspond with the volume of opened packs of ­tablets found with his body. Forensic scientist Alexander Allan analysed blood, urine and bodily fluid samples taken from the weapons inspector’s heart, stomach and liver. He found traces of paracetamol and dextropropoxyphene – the active ingredients of the prescription-only drug co-proxamol. The amount of dextropropoxyphene in the blood was ‘consistent with the ingestion of a large amount of co-proxamol’ but although it could represent a fatal overdose in certain circumstances, it was ­significantly lower than the average level in recorded overdoses. The level of paracetamol found in the stomach was unlikely to be fatal but because of vomiting, Dr Allan said some of the drug ­contents might have been lost and it was likely that the bulk of the tablets ingested had passed into Dr Kelly’s circulatory system. The forensic scientist concluded that the ‘blood paracetamol and blood dextropropoxyphene levels indicate the consumption of a ­considerable co-proxamol overdose’ but Dr Kelly had died before all the paracetamol had been absorbed into his system. Dr Hunt’s report said the toxicology findings indicate Dr Kelly ­‘consumed a significant quantity of these tablets either on the way to or at the scene itself’. While the blood/drug levels were not particularly high and ‘may not ordinarily have caused death in their own right,’ co-proxamol may cause fatally abnormal heart rhythms – particularly if there is low blood pressure as a result of bleeding and underlying narrowing of the coronary arteries. Dr Hunt’s conclusions were ­unequivocal – that Dr Kelly killed himself at the place he was found. However, this will not silence the calls for a full inquest. Dr Hunt said: ‘The main factor involved in bringing about the death of David Kelly is the bleeding from the incised wounds to his left wrist. Had this not occurred he may well not have died at this time. Lord Hutton - "There was no secrecy"
Lord Hutton, the law lord who conducted the inquiry into Dr David Kelly's death, has insisted there was no secrecy surrounding the post-mortem examination report. In a statement, he said: "There appears to be widespread misunderstanding about the availability of the post-mortem report on Dr David Kelly prepared by Dr Nicholas Hunt, the Home Office pathologist, who gave evidence to the inquiry into his death which I conducted. "I wish to make it clear that when a group of doctors made a request to see the post-mortem report, I issued a statement in January that I would not object to its disclosure to the doctors and their legal advisers for the purposes of legal proceedings. 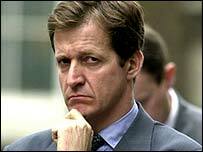 "However, whether or not the report should be disclosed is a matter for the Lord Chancellor to decide. "The inquiry which I conducted was open and public. It was very widely reported in the media and all the evidence appeared on the inquiry website which is still available to view. 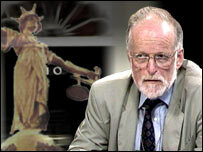 "At the inquiry Dr Kelly's family, the government and the BBC were represented by leading counsel, none of whom asked for leave to question or challenge by cross examination the evidence of Dr Nicholas Hunt, the pathologist, Professor Keith Hawton, the director of the centre for suicide research in the University of Oxford and a leading expert on the subject of suicide, and other witnesses, whose evidence led to the conclusion that Dr Kelly had committed suicide and had not been murdered. "The post-mortem report was available for inspection by those counsel. "At the conclusion of the inquiry I requested (not 'ordered') that the post-mortem report should not be disclosed for 70 years. "I made this request solely in order to protect Dr Kelly's widow and daughters for the remainder of their lives (the daughters being in their 20s at that time) from the distress which they would suffer from further discussion of the details of Dr Kelly's death in the media. "My request was not a concealment of evidence because every matter of relevance had been examined or was available for examination during the public inquiry. "There was no secrecy surrounding the post-mortem report because it had always been available for examination and questioning by counsel representing the interested parties during the inquiry." 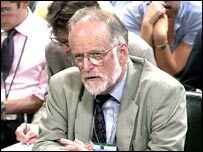 Previously secret evidence about the death of Iraq weapons expert Dr David Kelly has suggested that he died as a result of a "self-inflicted injury". The post-mortem report into his 2003 death, published on Friday, said the main cause was bleeding from a wound to his wrist "entirely consistent with being inflicted with a bladed weapon". The wound was "typical of a self-inflicted injury", it added. Lord Hutton's 2004 inquiry concluded the scientist had committed suicide. But a group of doctors have called for the case to be reopened, arguing that the suicide verdict was unsafe. 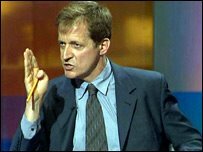 Dr Kelly's body was found in woods close to his Oxfordshire home in 2003, after it was revealed he had provided the information for a BBC News story casting doubt on the government's claim that Iraq had weapons of mass destruction capable of being fired within 45 minutes. 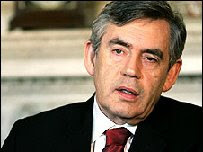 That claim was a key part of the government's justification for launching the war in Iraq. 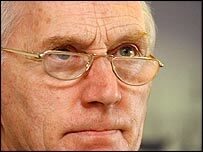 Instead of a coroner's inquest, then Prime Minister Tony Blair asked Lord Hutton to conduct an investigation, which found Dr Kelly had died from blood loss after slashing his wrist with a knife. Lord Hutton requested that the medical evidence which led him to that verdict should be kept secret for the sake of the scientist's family. Details of the post-mortem examination and toxicology tests had been classified for 70 years but the Ministry of Justice said it was now publishing the details "in the interests of maintaining public confidence" in the Hutton inquiry's conclusions. In the post-mortem, Home Office pathologist Dr Nicholas Hunt said there was "no evidence" that "natural disease" had caused Dr Kelly's death and identified a "significant" wound to his left wrist which resulted in a "the loss of a significant volume of blood as noted at the scene". "The complex of incised wounds over the left wrist are entirely consistent with having been inflicted with a bladed weapon," he concluded. As to the nature of the wound, he added that its "orientation and arrangement...are typical of self-inflicted injury". In his report, Dr Hunt sets out in detail the factors he believes indicated suicide. He says the removal of Dr Kelly's watch and spectacles are "features pointing towards this being an act of self-harm," as is the "relatively passive distribution of blood, the neat way in which the water bottle and its top were placed, the lack of obvious signs of trampling of the undergrowth or damage to clothing". There was also a "total lack of classical defence wounds against a sharp weapon attack," he adds, and no "pathological evidence that this man had been subjected to a sustained, violent assault prior to his death". Furthermore, Dr Hunt's report adds, there was no evidence at the scene or from the post-mortem that Dr Kelly's body had been "dragged or otherwise transported" to the scene where he was found. 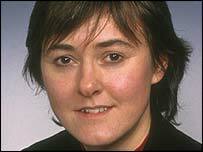 Some campaigners have suggested that Dr Kelly's body was moved after his death. The toxicology report by forensic scientist Alexander Allan showed a high concentration of paracetamol and dextropropoxyphene in Dr Kelly's blood. The two make up co-proxamol - a prescription-only drug for the treatment of mild to moderate pain. Campaigners have questioned whether the painkillers in Dr Kelly's system were enough to cause death - and Dr Hunt says in his report that "the levels of paracetemol and dextropropoxyphene in the blood are not particularly high and may not ordinarily have caused death in their own right". But he adds that dextropropoxyphene can cause fatal heart rhythm abnormalities in people with low blood pressure as a result of bleeding and "underlying narrowing of the coronary arteries" - both factors which he said applied in Dr Kelly's case. The toxicology report concluded Dr Kelly had taken a "considerable" overdose of the drug although he had died before all the paracetamol had been absorbed into his system. The impact of the overdose was lessened because of a lack of other depressants such as alcohol. The report said: "The concentration of dextropropoxyhene in the blood is consistent with the ingestion of a large amount of co-proxamol and although it could represent a fatal overdose in certain circumstances, for example with other substances ... it is significantly lower than the average level in reported in fatal overdose cases." Dr Hunt gives the cause of death as haemorrhage, wounds to the left wrist, co-proxamol ingestion and coronary artery damage. 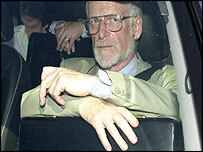 Responding to the post-mortem's release, Lord Hutton denied that it had been concealed. "There was no secrecy surrounding the post-mortem report because it had always been available for examination and questioning by counsel representing the interested parties during the inquiry," he said in a statement. Dr Kelly's family are not expected to make a statement.